Marijn Verhoef is the Company Engagement Manager at the Foundation and manages the Foundation’s company engagement team. Marijn moved into this role after having worked as a Researcher on the Foundation’s research team for the Antimicrobial Resistance Benchmark. He is a pharmacist by training, holding a Master’s degree in Pharmaceutical Sciences from Utrecht University in the Netherlands, where he completed a thesis on medication-related hospital admissions. 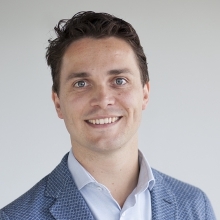 Before joining the Foundation, Marijn spent more than 5 years working in marketing and medical affairs in a multinational pharmaceutical company in roles relating to immunology and infectious diseases.